Aargh! Drink up me hearties on our signature tasting tour for adults 21 years+ of age. From pirates, shipwrecks and the illegal rum trade in the colonies to English settlers brewing beer from corn, the Outer Banks has a rich drinking history! Guests on this fun tour will enjoy tasting several locally made products while our guides share tales & drinking history of the Outer Banks! 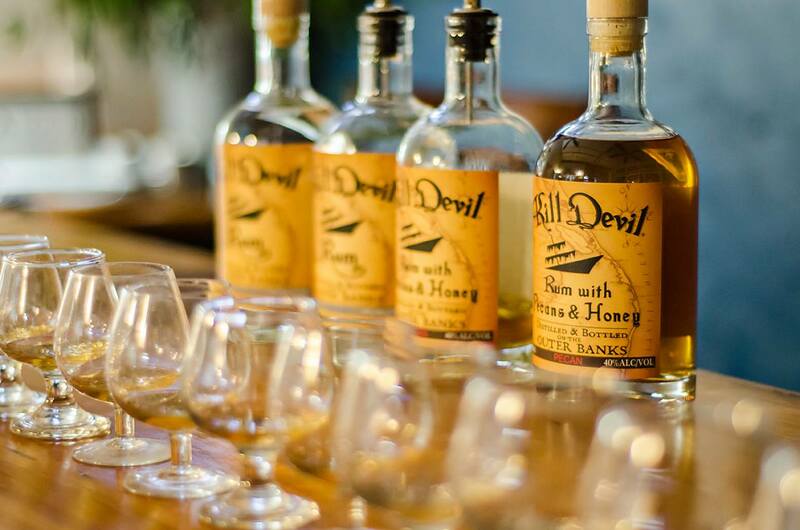 If ye be brave enough, sample the locally made rum as you visit the first legal distillery on the NC Outer Banks, taste wines made from the native grapes of the original “mother vine” discovered on Roanoke Island by Sir Walter Raleigh in 1585 – and more! Price includes all alcohol tasting. Guests must be at least 21 years of age and are required to show valid ID.